This sets the level the audio needs to reach before the compressor has an effect, and is measured in dB just like the level meter on mixer most channel strips. Once the level goes beyond your threshold, the compressor will start to work. To compress a snare drum set the threshold middle to high so that it triggers on each drum hit but then drops down below the threshold fairly quickly. 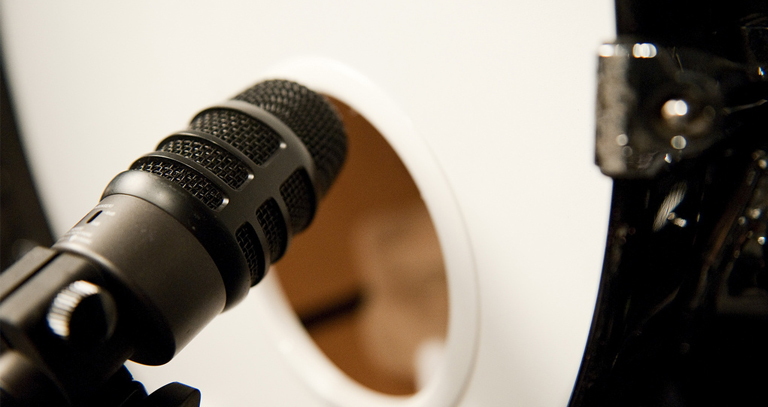 To level out vocals, set the threshold quite low so that when the level when singing is always above the threshold. The attack determines how quickly the compressor starts to take effect. On snare drums a very fast attack (less than 2 milliseconds) will squash the initial hit and allow you to bring out more of the sustain to get a fatter snare sound. A slower attack time will allow the initial hit through before the compressor kicks in, giving you much more punch and less sustain. 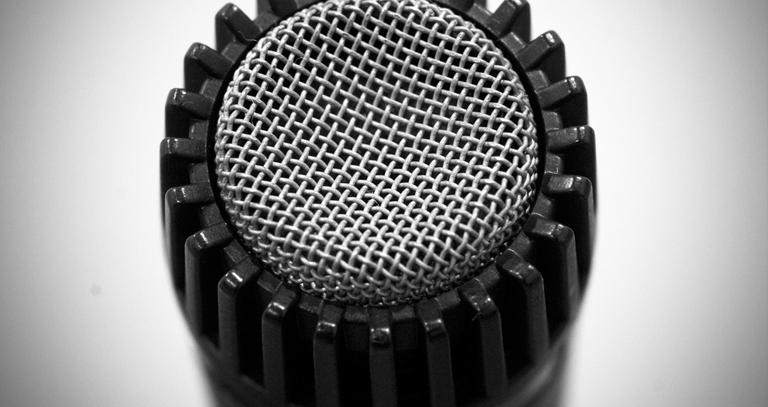 To level out vocals, keep the attack fairly long (more like 20ms) so that the compression stays unobtrusive. 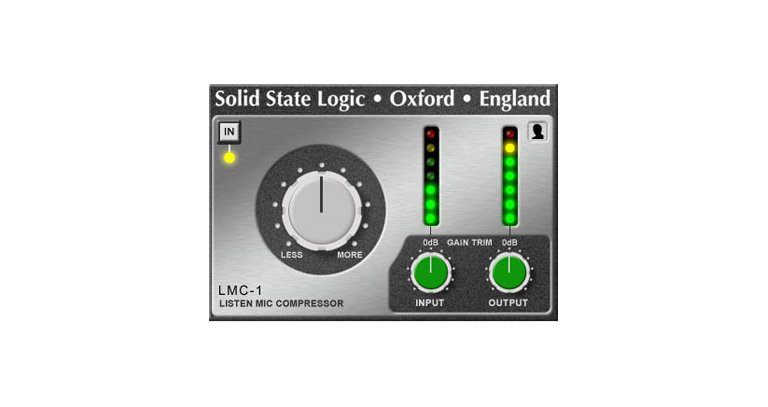 This controls how long the compressor continues to have an effect after the audio drops back below the threshold. On snare drums a long release combined with a slow attack time will give some more initial punch, as it will continue to compress the sustain after the drum hit. To bring out more sustain in the drum, decrease the release time. For the vocals, a fast release will be less noticeable. 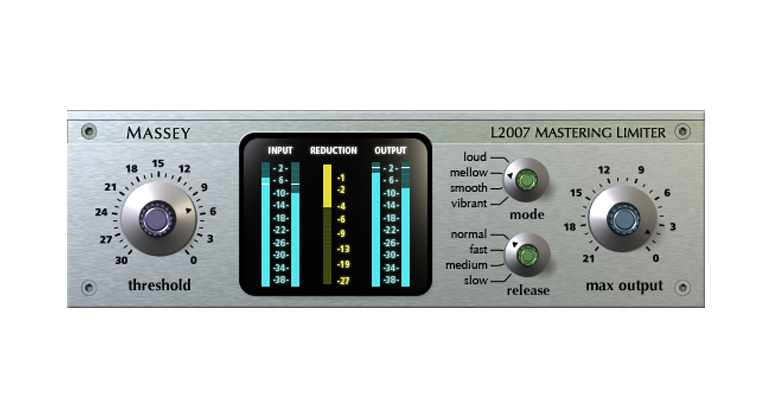 The ‘ratio’ describes how much the compressor will squash the audio when it is in effect, it is literally the ratio of the audio level coming in to the level going out. 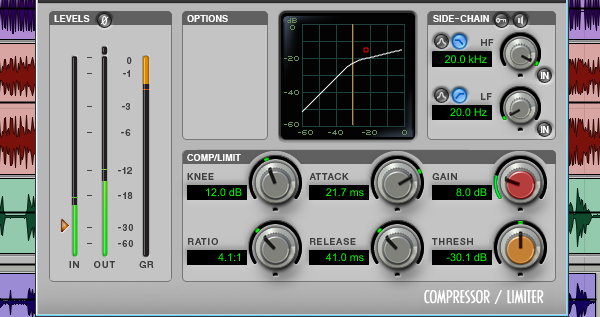 For snare drums, a ratio of about 5:1 is common, but to just level out vocals gently you only need something like 2:1 as the compressor is set to kick in at a lower threshold. This is slightly more difficult to describe, but in essence it controls how quickly the compressor ramps up to the preset ratio once the audio has crossed the threshold. A hard knee means that absolutely everything above the threshold is compressed to the set ratio. A softer knee means that when the audio is just above the threshold it isn’t compressed much, as it goes further beyond the threshold the compression will gradually increase until it reaches the set ratio. On vocals, we want a very soft knee so that the compression sounds as gentle as possible. A hard knee sounds much more obvious and the hardest setting with a short attack time will create an audible click when the audio crosses the threshold, which can help the snare drum cut through a mix and bring out some sustain. This is perfectly straight forwards, and is just another gain pot which you use to bring the audio back up to the appropriate level after it’s been compressed. 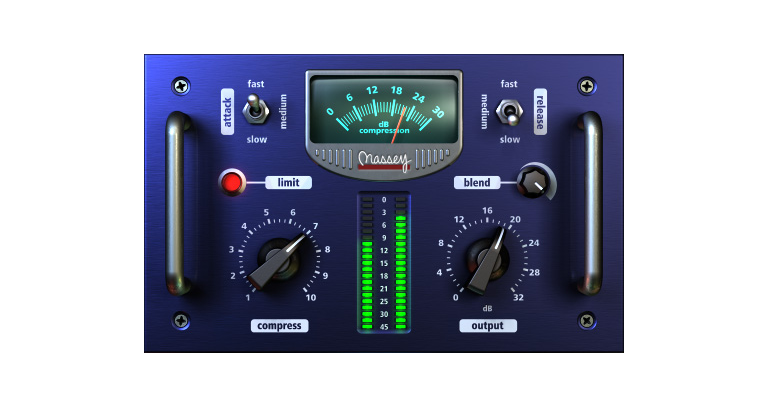 Most compressor plugins will come with a selection of presets. Load them up and see which parameters have changed and what difference that has made to the sound, they are a very quick way to experiment. By all means use them as a starting point when you come to mix, but don’t just load them up and forget about them, they are rarely perfect every time and you won’t learn how to make a compressor work for when you don’t have presets.